There is no easy way to begin the review of a Star Wars film. How could I pass judgement on a story so closely connected to the films I grew up with? The fact I feel this connection speaks to the power of Rogue One: A Star Wars Story. The movie was a definite return to the original trilogy Star Wars universe I hold most dear. There are barely any spoilers in this review, but if you will take my word for it, just go see the new movie. If you like Star Wars, you have to see Rogue One in the theater. Perhaps the film hit so close to home because it centered on the background of the original 1977 Star Wars: A New Hope film. 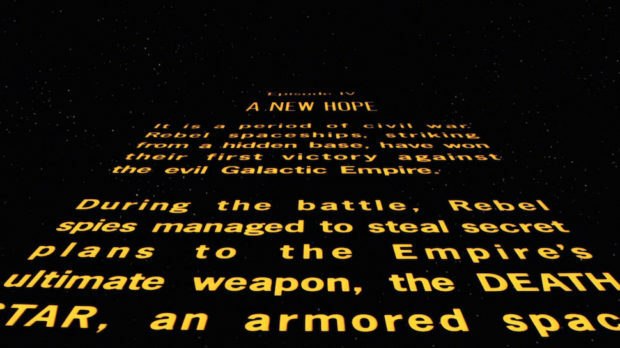 In fact, this story follows the opening scrawl from the original film as it tells how the Rebel Alliance came into the possession of the plans for the Death Star. 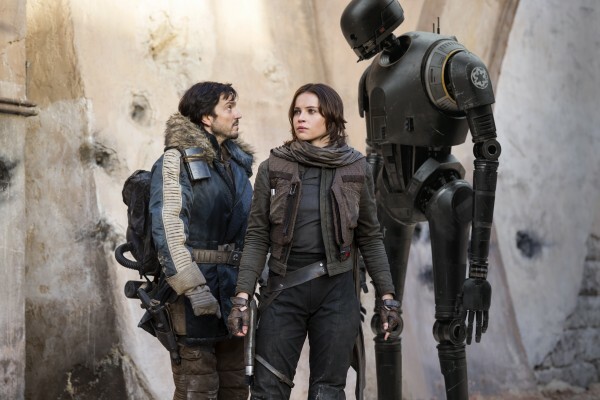 This new Rogue One film is woven quite tightly into the world of Episode 4. The plot points and details from this new film add a layer of realism to the original classic Star Wars film. Most critically, the movie finally answers the question of why the entire Death Star will destruct if the Rebels are able to blow up one part. 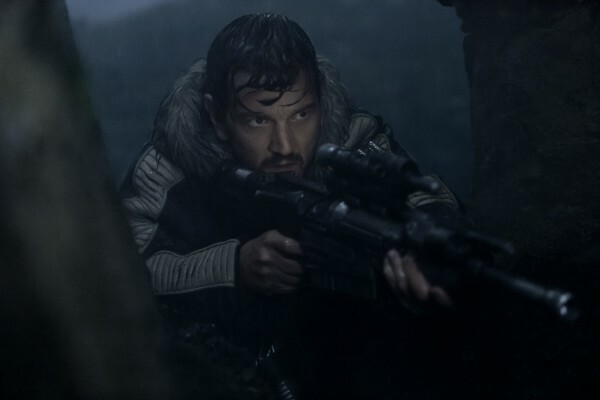 As is mentioned in the scrawl from Episode 4, Rogue One includes the first battle between the Empire and the Rebel Alliance. This sequence–the third act of the film–is incredible and lives up to the promise of being a true battle. In fact, the intricacies of the scene and layering could make this scene the greatest Star Wars battle we have seen yet. 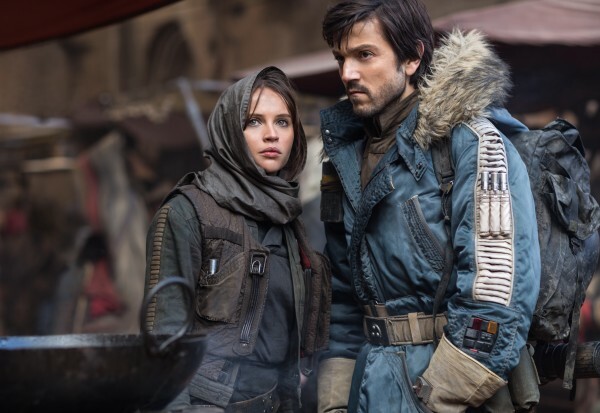 While the story shares many attributes to last year’s Star Wars: The Force Awakens, the same feeling is not quite there in Rogue One. The movie does not feel as grand or monumental as the previous film. Perhaps this is by design. 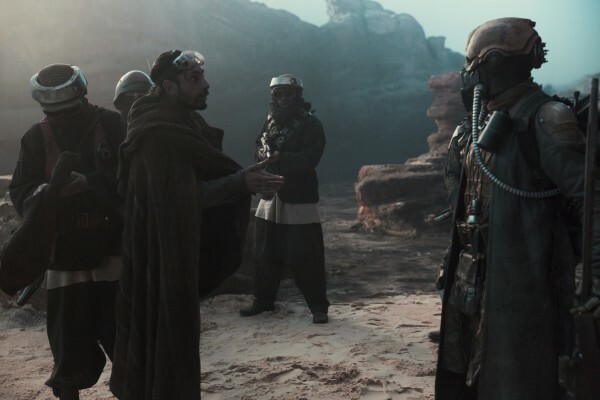 This is not an actual Episode numbered film of the grand Star Wars story and does not pretend to be–there is not even an opening scrawl for the film. I missed having music scored by John Williams. However, Michael Giacchino is arguably the next John Williams and did a good job with the soundtrack. And just a quick note on bringing kids. The film does have a PG-13 rating, but the film could be shown to younger kids. The film does have intense battle sequences and shows more people dying than any of the other films. The deaths are not graphic, but they are present. There’s plenty more I could tell you about the intricate details of the film and fantastic job in writing that the team did, but I really enjoyed having my own aha moments during the theater experience. You should get to have those same moments too. Please head out to the theater and see Rogue One: A Star Wars Story. This is a movie you want to see in the theater. Be ready to rush home to watch Episode 4 immediately after seeing the movie. 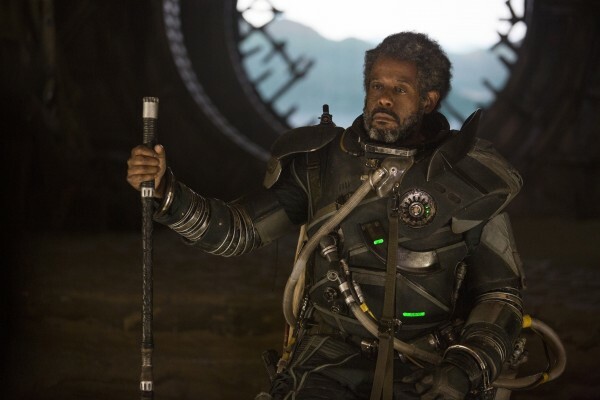 Rogue One gives a new meaning to the original film. I was invited to an early screening of Rogue One at Dolby headquarters in San Francisco. While there I got to experience a new style of Dolby theater that includes state of the art laser projection and a hidden speaker surround sound system.